Rabea Nawaz is the cofounder of a unique organization called The Happiness Fitt, a social holistic wellbeing enterprise that helps build a community of happy people and happy organizations. Their purpose is to implement the happiness model in our everyday life, which entails instilling positive thinking and social enterprise as a business model within our society. She has over 17 years of extensive experience in North America and Middle East, with a particular focus on Transformational Strategy & Management Consultancy for both people and organizations. She focuses on helping organizations execute upon their strategy, increase employee engagement and morale, increase productivity and profitability by designing programs that are positive, motivational and socially driven. Rabea has expertise in building client relationships, revenue generation, growing book of business and managing large teams and complex projects. 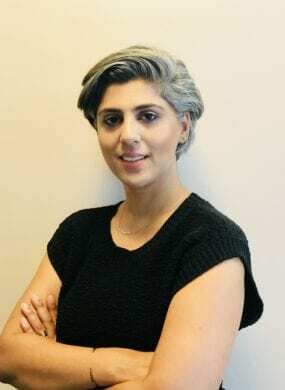 Ms. Nawaz has worked with and has a long standing professional associations with various fortune 500 firms and private equity firms that include the likes of Freddie Mac, Ernst & Young and The Carlyle Group. Rabea shifted her focus to a new vision in UAE, where she is an enthusiastic believer in happiness and social enterprise. She has developed a model that benefits not only the individual but organizations as well. Rabea is a seasoned happiness consultant, master strengths mentor, organizational advisor, a positivity coach, a motivational speaker and conducts workshops across a variety of professional levels and industries, to inspire people to fully understand, embrace and capitalize on their talents at work and in life. She has expertise in leading the development and implementation of strategies to foster Women’s Empowerment and Gender Equality programs, Entrepreneurship programs and Social Impact programs. Rabea is also an active member and advisor to the United Nations Global Compact (UNGC – UAE Chapter) and the Women Empowerment Taskforce. She has a BBA in Finance and MIS from the prestigious George Washington University in Washington, DC (USA). Rabea currently resides in Dubai, UAE.